“I want floopy.” Jax said with a smile. “Do you like floopy?” I asked, running out of ideas. “YES!” Jax screamed. Ah – I get it. Floopy = THERAPY! 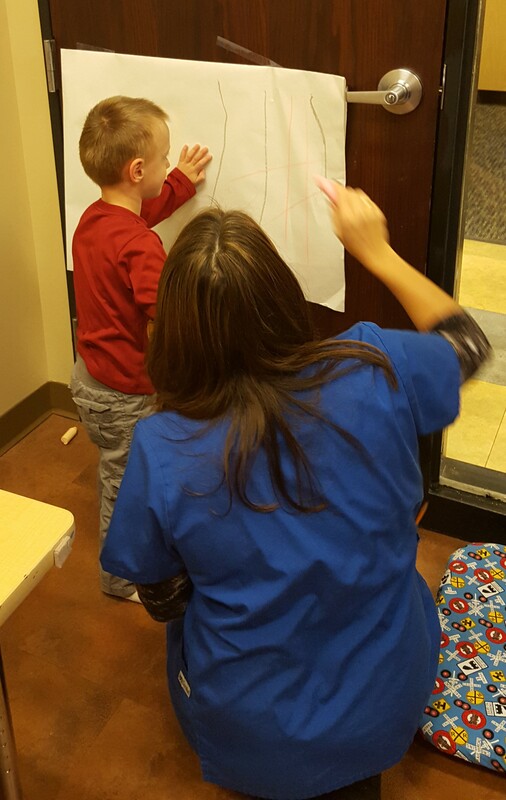 In therapy, Jax is working on self-regulation, sensory processing, fine motor skills, and attention and focus. It’s basically a fun trip to a place with tons of toys and things to climb – so of course, Jax loves it. 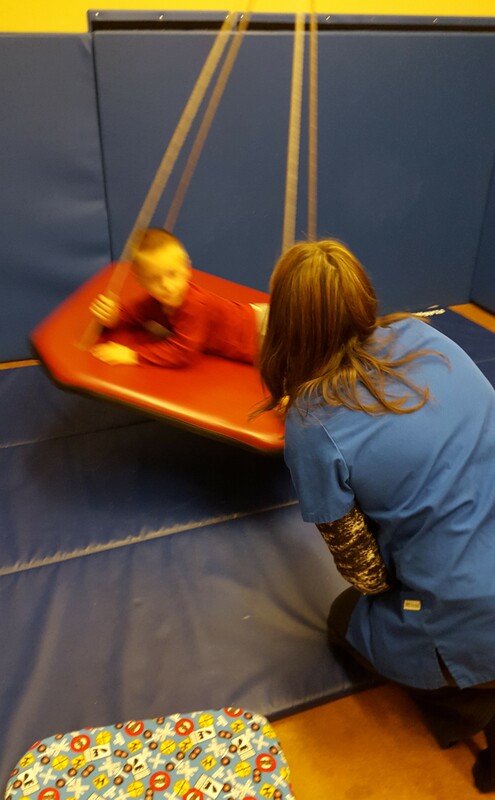 During the first two sessions, the therapist had us moving from room to room to do different activities. This might not seem like a big deal, but Jax has a hard time with transitions, so he had to check out every single thing in each new room before he was ready to work. We wasted a lot of time! The therapist is discovering that Jax’s ability to process directions in a busy or new environment is almost zero (I already knew that.) This is because he struggles with processing visual and auditory stimulus. His brain can’t filter out sights and sounds in an organized way so he tries to avoid the input as best as he can. 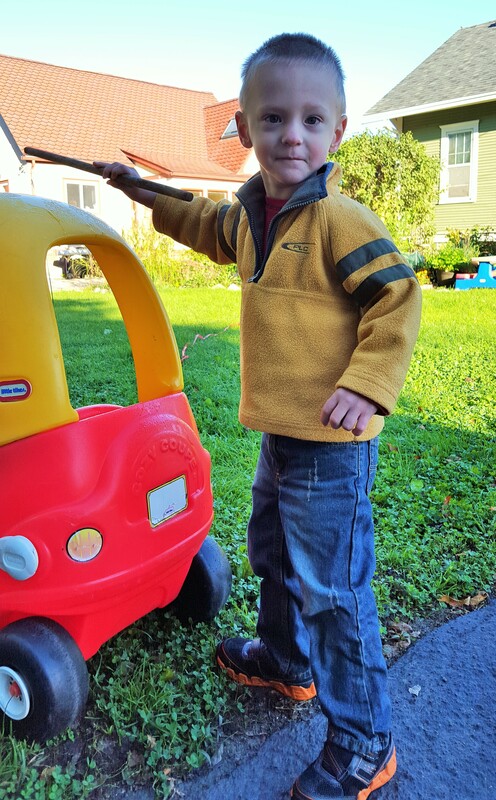 He does this by trying to take control of his environment and the sensory input by choosing a new location. In other words, he does not stay still. At all. Not one bit. 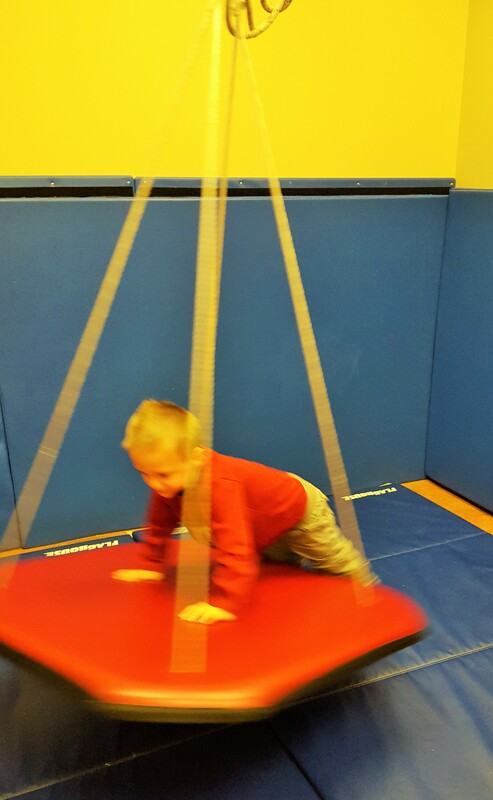 We think this is his coping mechanism for avoiding too much sensory input. So, the therapist moved all of his activities into one small room. Now, instead of wasting time transitioning from place to place, Jax can spend the time (eventually, hopefully) focusing on the task at hand. So far, we’ve been able to get him to sit and do a stationary activity (i.e. puzzle, book) for 2 whole minutes. That’s progress. We had to bribe him with a “special treat” of fruit snacks, but I’m ok with whatever works. Working on fine motor skills and drawing lines. Jax wanted to draw a “racetrack” instead. 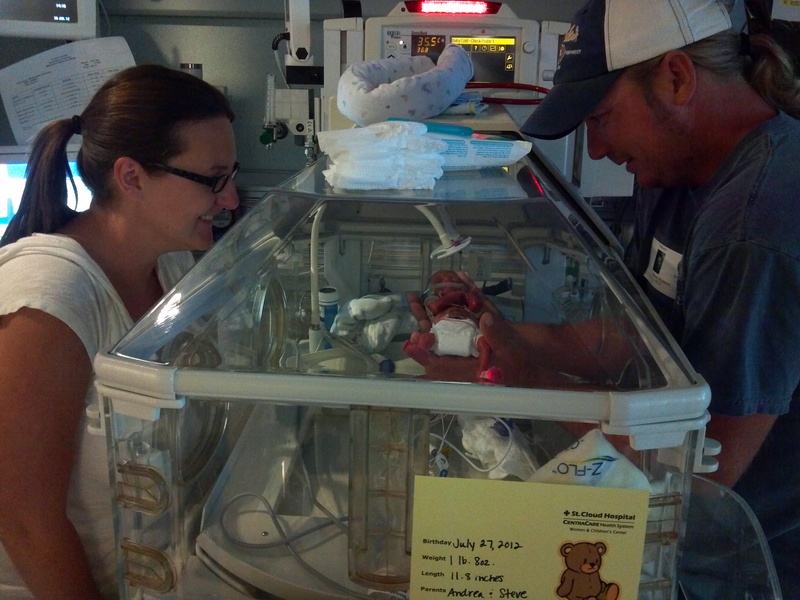 I love this pic – it’s a great example of Jax’s neverending activity! He’s a blur!